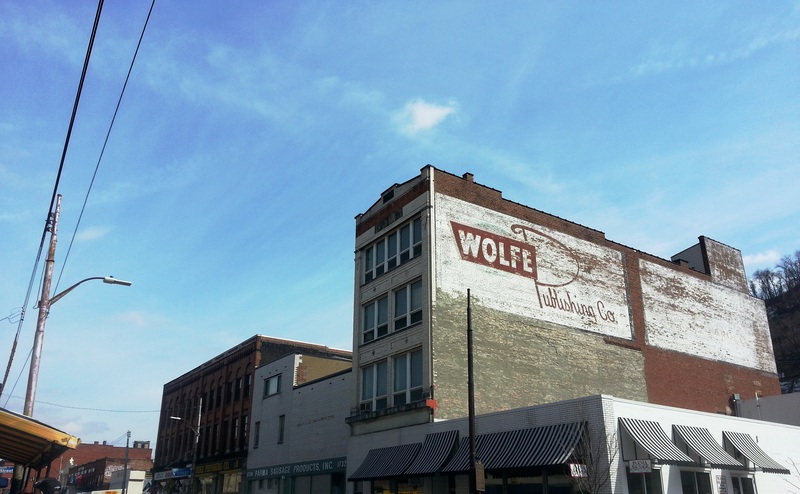 Posted on March 17, 2014 by Sarah S.
To an outsider’s ear, the Strip District doesn’t exactly sound like a place you want to spend a lovely Sunday morning. Let alone a place you’d pick up a slew of produce at dirt cheap prices or stock up on bulk locally roasted coffee or admire beautiful art from local artists. But the Strip is just the place to go for that sort of adventure. For the first seven months of living in the city, I actively avoided going to the Strip. The traffic is awful. Parking is worse. And there are so. many. people. But let me tell you, it’s worth every minute you spend stuck waiting for j-walking pedestrians or battling your fellow drivers for a just-barely-big-enough stretch of curb to park on. 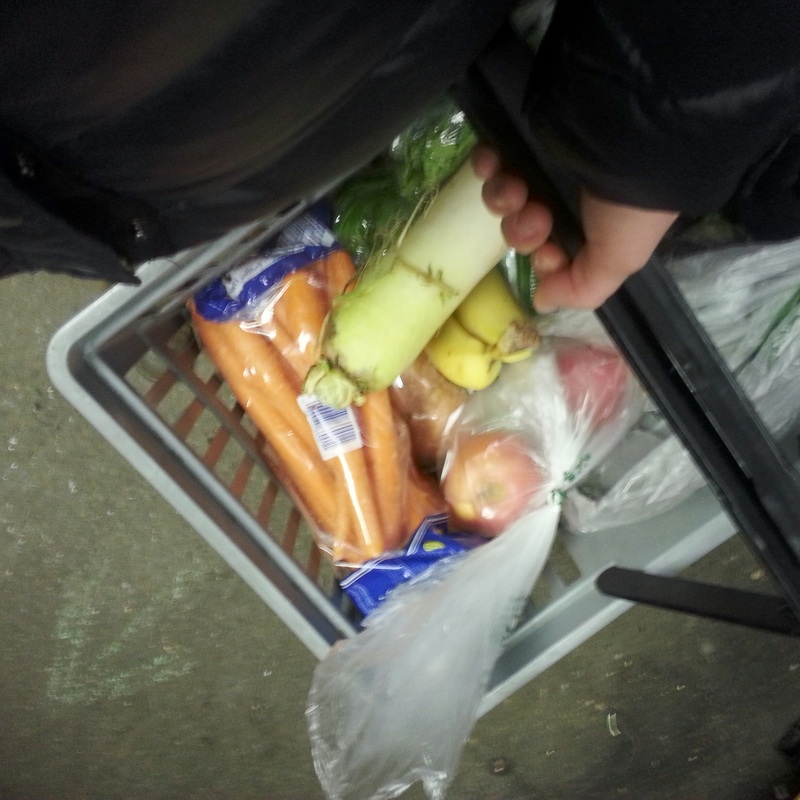 Firstly, because I bought a week’s worth of produce for $15. FIFTEEN DOLLARS! In the middle of the city! I even found daikon root. I still don’t really know what it is, but it was less than a dollar and tastes delicious in fried rice. Secondly, because the Asian markets are numerous and well priced. I bought a jar of umeboshi plums for $6. The same sized jar costs about $9 at my local co-op. I did my shopping at the first place I found, which was a small Korean market with an extremely helpful owner who tolerated my request for lotus root. But I was told that Lotus is also a great Asian market (and presumably also has lotus root…). Thirdly, because coffee. So much coffee! I even asked the guy behind the counter if I could buy one of their empty coffee sacks. Yes, yes I could. So I did. For $2, which means I now have the cheapest wall art ever. And fourthly, because of the people. Ok, I know the vendors might be overly friendly because you have a wad of cash in your pocket, but trust me, I’ve seen vendors in northern Italy blatantly insult customers, so… I was satisfied. There was the bread guy who went into his (then closed) shop to find me olive oil. There was the Russian photographer who chatted with about being a Pittsburgh newcomer (“No matter what they say, you don’t have to be a Steelers fan.”), and whose beautiful photo of the city is now hanging in my living room. With it’s fresh, affordable produce and Asian markets, the Strip District is a vegan’s dream. Toss in some quality coffee and some quality people, and you have a recipe for one of the best Sunday mornings you can find in this town. This entry was posted in Food, Travel and tagged adventures, art, asian market, city living, coffee, exploring, groceries, lotus, pittsburgh, produce, stan's, strip, strip district, the Strip District, vegan, vegetarian. Bookmark the permalink. Wow, I would love to go there. That is right up my alley.